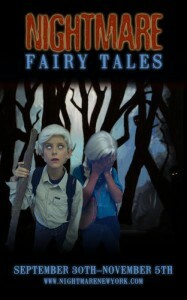 In what is perhaps the most stylistic NIGHTMARE to date, this year’s theme is Fairy Tales. Nightmare: Fairy Tales stages the original versions of well-known (and some lesser known) fairy tales at their most gruesome and horrific. Over the centuries many of these fables have evolved into sanitized entertainment for children, but they began as racy and violent tales intended to keep children from misbehaving. For dinner, The Stanton Social has earned a reputation for being a beautifully designed restaurant/lounge while serving up some delicious multi-ethnic cuisine. For drinks, a favorite of mine is The Magician, this bar’s chill atmosphere just may be the cure for a well-earned night of rocking. A great way to end the night? Stop by The Pink Pony. This boho café has been serving French food and coffee since the 80s and has a relaxing vibe. It’s as punk as that neighborhood gets nowadays.